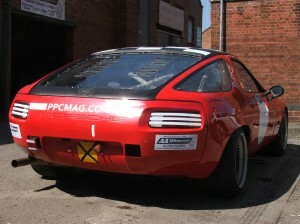 I have long been a reader of Practical Performance Car magazine http://ppcmag.co.uk/ and it was my pleasure to be invited to drive along side one of the editors Kev Leaper as he tested the often dangerous waters of motorsport. Motorsport isn’t dangerous becuase of the accident’s but because it is seriously addictive and may harm your bank account. There’s so much more to going racing than driving a car and the preparation and comittment in cost and time often dampens peoples enthusiasm very quickly. Kev’s Porsche had seen some track day action but needed a lot to get it up to race spec. Racing is the ultimate test of any machinery and the Porsche showed it’s frailties. 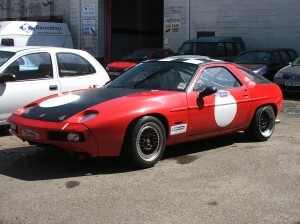 Fortunately both it and it’s owner showed their potential too, and Kev has bags of enthusiasm for motorsport. There’s a long road ahead but it’s a joy to be part of it. Buy your copy of PPC Magazine and follow the tales. This entry was posted on Thursday, June 10th, 2010 at 3:54 pm	and is filed under Garage Services, General, News, Race news, Track day toys. You can follow any responses to this entry through the RSS 2.0 feed. Both comments and pings are currently closed.